At Halo Heating and Cooling, a main part of our focus is on creating healthy, clean air for the inside of your home. Along with heating and air conditioning services, we work on the indoor air quality at your Nashville home through filtration, heat recovery and other cutting-edge methods. Our goal is to create a “Heavenly Home” with clean, healthy and comfortable air for you and your household. To get started on improving your home indoor air quality at your Nashville residence, contact us at Halo Heating and Cooling. Once you call our office staff at (615) 383-4822, we will send a trustworthy service technician to your home who will perform indoor air quality system testing and come up with a plan to provide you with cleaner air. 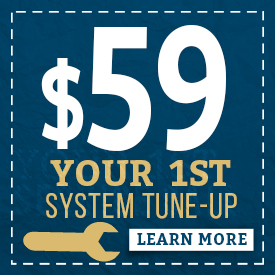 Get started right away to get better indoor air! People spend a lot of their time indoors, yet the indoor air of their home generally isn’t very clean. Instead, it is filled with contaminants such as mold, mildew, dust and pollutants. Even the cleaning supplies that you use can pollute your air since they are made with chemicals. And what’s worse is most people don’t even know the contaminants are there in their home. All of these contaminants in your indoor air can lead to health problems. You and your family might develop allergies, asthma and other breathing problems, headaches, coughs and other conditions or irritations from being exposed to these things on a daily basis. Unfortunately, the heating and cooling ducts can contribute to this problem as well because the conditions available in the ducts can allow mold, bacteria and other allergens to thrive. 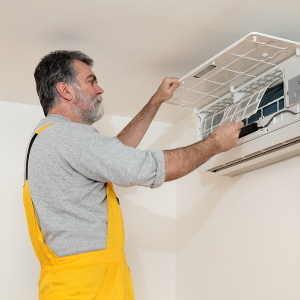 While you might think you are getting clean air flow when you turn on the air conditioner or heater, you may actually be spreading the contaminants that are sitting in your ducts. But there’s a simple solution…call Halo! How Can You Improve Indoor Air Quality in Nashville? When you call Halo Heating and Cooling, we will come and perform indoor air quality testing for your Nashville residence. After we have a better idea of your residential indoor air quality, we can recommend custom solutions that will fit the condition of your home’s air and your home’s needs. There are many different solutions we might recommend for healthier air. Air purifier installation: This option will cleanse the air around your home. This choice is perfect for people who are particularly sensitive to air contaminants, such as allergy sufferers, babies and seniors, although anyone can benefit from it. Purifiers filter the air and can also kill germs that would circulate through your home. 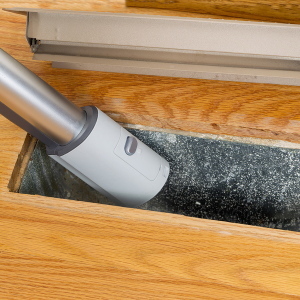 Duct cleaning service: This is an option to clean out the contaminants within the HVAC system. Cleaning the ducts will take care of the mold, mite droppings and other contaminants there so they can’t blow around the house when you turn on your HVAC system. 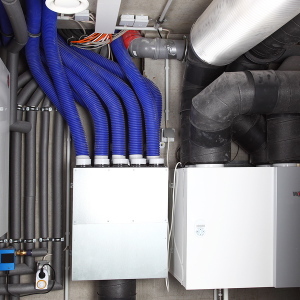 Heat recovery ventilator installation: This type of ventilator uses a heat exchange that goes against the air current, giving your home fresh air and a better climate. This option brings the cleaner outdoor air inside and filters it, yet it maintains the right temperature without using more energy. HEPA filter installation: A HEPA filter is a high-standard filter that catches most of the particles in the air. For this option, we would install one in the by-pass of the HVAC system. Additional ventilation options: We might suggest other options to filter and cleanse the air. UV lighting: This is another method of killing the mold and other contaminants in your ducts and other parts of your HVAC system, and preventing new contaminants from forming. A dehumidifier or a humidifier: We can help you get the right amount of moisture in your home with a dehumidifier if your home is too wet, which is breeding grounds for contaminants, or a humidifier if your home is too dry, which can encourage contaminants to float in the air. Through the right balance of moisture, your air will have a better feel and will be easier to breathe. Our service technicians can help you determine which choice is right for your needs. Once you have one of these solutions installed, we can help you keep it maintained and continuously performing to improve your air quality on an ongoing basis. No matter which indoor air service your home requires, our company will always send qualified, expert technicians to perform the job. By working with Halo Heating and Cooling, you can ensure that you will receive professional and quality service for your HVAC system. We send technicians to your home who have gone through training and background checks. In addition, they will come in professional attire and provide you with helpful and knowledgeable service. We care about the work we do in our own community. That’s why we stand by it with workmanship warranties that last for two years, along with a guarantee that you will be 100 percent satisfied with our service. We believe in providing a value to you with low prices, and without sacrificing on the quality of our service or parts. Count on our company for all of your HVAC needs, including heating, air conditioning and air comfort services. Our eco-friendly company can help you save money on your monthly energy bills through an efficient HVAC system that runs in top form. In addition to our indoor air quality service and other HVAC services, we also have our Halo Comfort Club. With the Halo Comfort Club, we have a great, cost saving way to have your home and HVAC systems expertly maintained throughout the year. You can learn more here. If you’re ready to find out the quality of your home’s air, call us at Halo Heating and Cooling at (615) 383-4822. We look forward to improving your indoor air quality through HVAC services. It’s time for a Heavenly home, don’t you think?